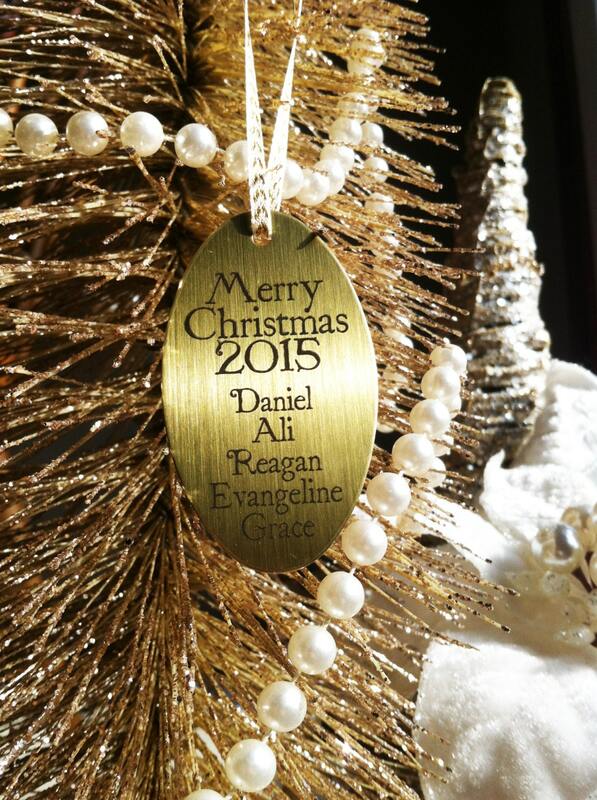 Find the perfect ornament, by designing the perfect ornament. 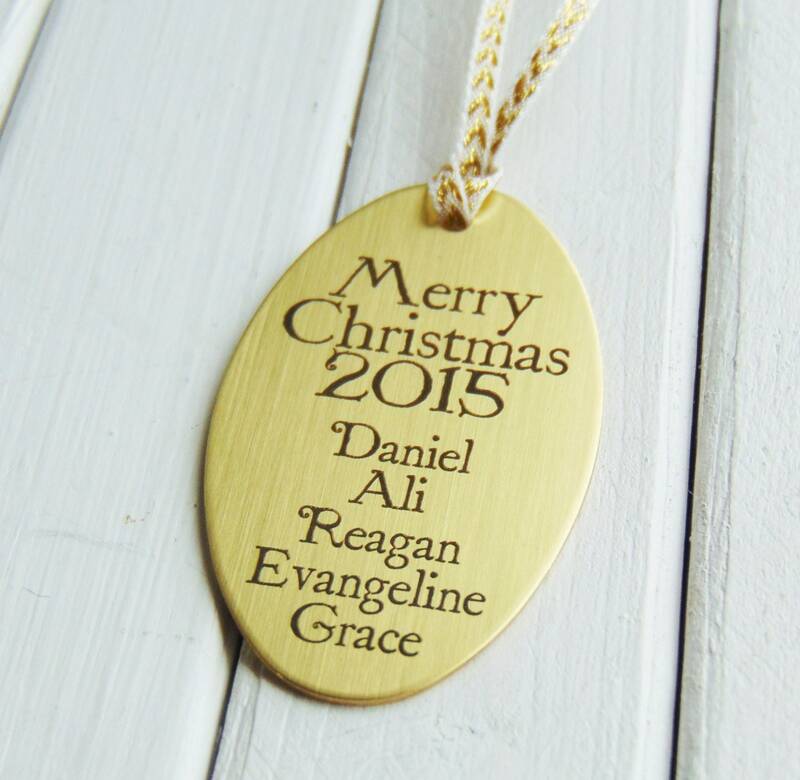 Easily add your design to create a memorable piece, that represents your family and/or experiences of 2018. Honor those who cant be with you, by adding their handwriting. 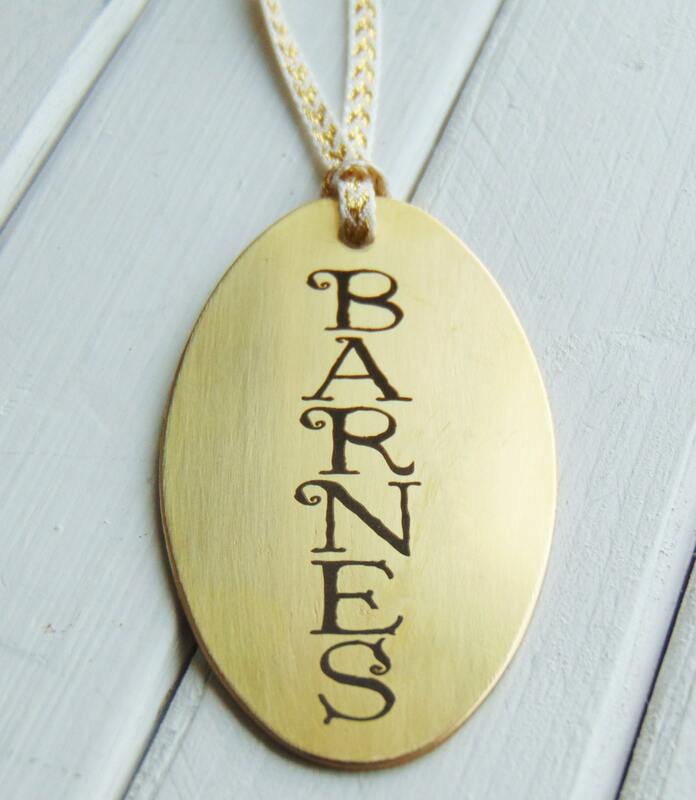 Crisp, clean lines, beautifully engraved on a brass oval ornament. These make the perfect gift for all family members and friends. Great for holiday party favors too!